Price adjusted $30,000!!! Great views of the intercostal waterway. Lots of light from three sides. Larger dining area off of the kitchen featuring a modest, but pretty view of the ocean to the Southwest. Newer well kept furniture. 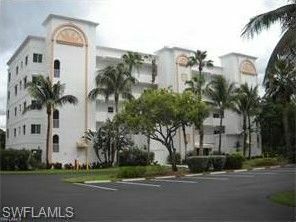 The flooring and bathrooms have been completely redone with the floor tile on an upgraded high-quality diagonal and you will find this unit is the nicest unit on the beach with nothing for you to do but move in. With newer appliances, no deferred maintenance, new bathrooms tastefully retiled, and a unit that your friends and family will be impressed with, this unit is ready to move into. You won't find a nicer unit on Fort Myers Beach. Well kept and has a spacious outdoor area. The pool is a short walk and features generous seating and great sunshine with the buildings far off. Plenty of sun and few shadows here. The marina boardwalk encourages nice walks right out your front door and you can play a game of "catch" with the ball right below your lanai as dinner is being prepared. Your parking under roof is convenient to the entryway and there are great views of the pool right off your front door.